DAILY Pre-Market Analysis & Key Trade Zones (updated every morning in the Members Area before the market opens) to help prepare you for the trading day. 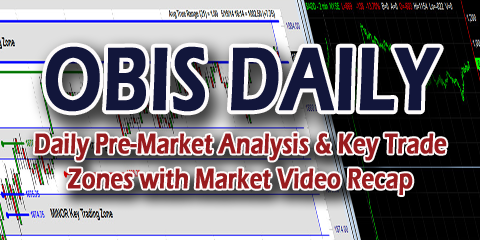 DAILY Market Video Recaps (we meet on-line each day Monday through Friday at 4:00pm ET) to go over the day’s price action and trade setups providing you with even more insight and continued education so as to help reinforce and expedite your learning of the Opening Bell Income Strategy™. DAILY LIVE Q&A Coaching Sessions (we meet on-line each day Monday through Friday right after the DAILY Market Video Recap) where we spend time together and discuss the day's price action and trade setups. During this time, we'll answer any questions that you may have about the trades that set-up in the E-Mini S&P 500 futures contract that day, answer any questions related to preparing for the trading day, using the market internals, and/or any other questions. You'll hear and learn from other traders as well. If you have a microphone we encourage you to participate in our discussions. 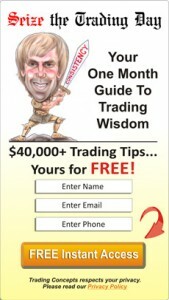 FULL Unlimited Access to the Exclusive Members Area with over 800 posts (that's over 1,600 recorded videos and historical charts). "very helpful to compare and confirm"
"Hey, Craig - thanks for these levels this morning....very helpful to compare and confirm our "practice" at setting them. Slow market this morning, but still managed to make some money on the congestion zone breakout. Take care, man..."
"the simplicity you teach these concepts is great"
"I have received market profile training in the past but found it loaded with overcomplicated methods and expensive plugins I did not really want to purchase. The simplicity you teach these concepts is great and I am able to keep everything within TOS, which I like a great deal. I hope the rest of your students have enjoyed the training as much as I have. Thanks"
Are you using the Market Internals to your Advantage? © Trading Concepts, Inc. 1994-2016. All rights reserved.